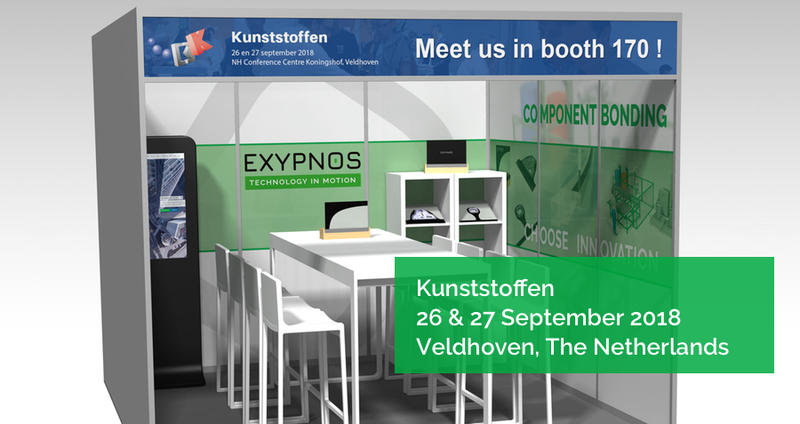 On the 26th and 27th of September, the Exypnos team welcomes you at stand no 170 during “Kunststoffen 2018” in Veldhoven, The Netherlands. As Technology and System Integrator, we offer turnkey manufacturing units and related services for the mobility, energy, construction and consumer goods industry. Exypnos will explain in depth its newly developed Component Bonding Technology and the numerous manufacturing possibilities using WST and WSTplus Technology.